4 Day Program over 3 months. This international award-winning program enables women to give more and get more out of their work. They identify where they are going, and then develop the skills, ‘can do’ attitude and the confidence to get on with it. All useful assets at any time, but especially valuable to organisations dealing with change. Kickstart your career, learn how to have control over your life, become self-aware, learn the art of self-regulation and being in the moment. Comprehensive participant workbook , coaching or mentoring support and networking. Improve your emotional intelligence, become more assertive, create opportunities, build your visibility, change the way you think about yourself and the world you live in. Jo is the principal of boutique consultancy Facilitating Possibilities which specialises in facilitating the transformation and empowerment of individuals, teams and organisations. 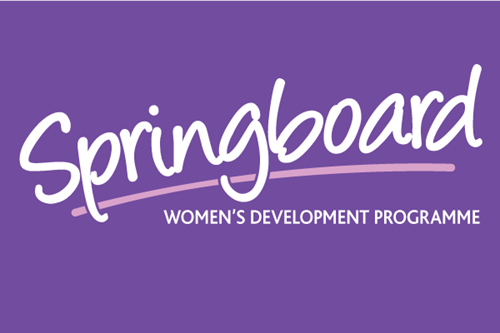 With over 20 years experience as a facilitator and coach, Jo is the only licensed facilitator of Springboard in Perth and has had over 1000 women successfully attend the program over the last 14 years.